In his first interview with Fox News, US President Barack Obama has denied there is a crisis in US-Israel relations. Updates (Israel time; most recent at top)? 10:08PM: Yet more media bias? Which begs the question: how does the AFP stringer know that this is a fake rocket? 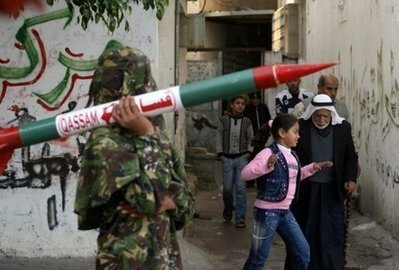 After all, the guy carrying it is a real Hamas “militant” (i.e. 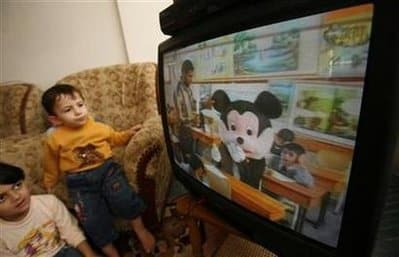 terrorist). It would be easier for him to carry the real deal, instead of go to the effort of creating a fake one. Furthermore, it sure looks real to me. 8:16PM: The Elder of Moron opens his pie hole. Former President Jimmy Carter on Thursday called US plans to mediate the dispute between the Israelis and Palestinians by shuttling back and forth between the two parties a “feeble effort” toward bringing lasting peace to the Middle East. He also encouraged President Barack Obama’s White House to take a more balanced position in its relations with Israel. “There’s no doubt that in general the United States government has been much more attuned to the sensitivities of the Israelis and has yielded excessively to the circumstances in the Holy Land as Israel has confiscated several lands within Palestine,” Carter said at the opening of a two-day conference on US-Arab relations. 7:30PM: Those twits over at CNN have allowed antisemitic tweets to air to the public (hat tip: Marty Roberts). 5:44PM: Introducing Joe Biden: US Vice President and aspiring comedian. “I just got back from five days in the Middle East,” Biden said. “I love to travel, but it’s great to be back to a place where a boom in housing construction is actually a good thing,” he said. That’s really funny, especially to those who have lost their homes and may stand to lose their homes in future thanks to the US pressure on Israel. 4:48PM: Ma’an News reports that sonic booms were heard over Gaza following today’s fatal rocket attack. No strikes or injuries were reported after Gaza residents reported hearing what sounded like a dozen explosions across the Strip on Thursday, hours after the death of a Thai worker hit by projectile fire. Notice the headline, which implies the projectile is responsible for the man’s death, instead of those who fired it. Meanwhile, according to the same report, Fatah’s own Al-Aqsa Martyrs Brigades claimed responsibility for the attack, and not an Al Qaeda affiliated group as was reported by other media outlets. 4:38PM: Israel has promised a strong response after the rocket attack earlier today. 1:18PM: BREAKING NEWS:Palestinian terrorists have killed a 30-year-old man after firing a Qassam rocket at Moshav Netiv Ha’asara in the Ashkelon Coast Regional Council. 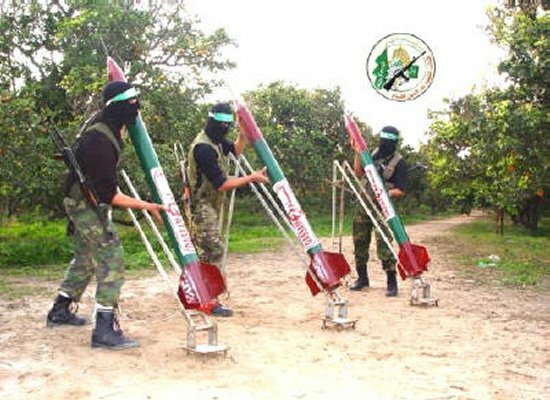 The man was a Thai foreign worker, and this was the third rocket to be fired into Israel in the last 24 hours. The al-Qaeda affiliated Ansar al-Suna Brigades claimed responsibility for the attack. 1:00PM: Media bias: It is clear from the plethora of “palestinian rage day” photos that the foreign press photographers are making a concerted effort to point out the young age of the protesters by referring to them as “youth” – such as here, here, and here (and even when their age may not be clear like here). It seems clear to me they are mentioning this to reinforce the “David vs Goliath” narrative. After all, the Israeli troops could also be described as “young,” given they are usually 18-20 years of age. Besides, the foreign press has a history of doing this even when it’s a real stretch. Another point: the caption writer describes them as “Young Palestinian stone-throwers,” even though the flames in the photo itself, as well as events shown in other photos, indicates their projectiles of choice extend beyond the earthen variety. 9:20AM: Jeffrey Goldberg argues that Obama is not trying to destroy the US-Israel relationship. So what is the goal? The goal is force a rupture in the governing coalition that will make it necessary for Netanyahu to take into his government Livni’s centrist Kadima Party (he has already tried to do this, but too much on his terms) and form a broad, 68-seat majority in Knesset that does not have to rely on gangsters, messianists and medievalists for votes. It’s up to Livni, of course, to recognize that it is in Israel’s best interests to join a government with Netanyahu and Barak, and I, for one, hope she puts the interests of Israel ahead of her own ambitions. Obama knows that this sort of stable, centrist coalition is the key to success. He would rather, I understand, not have to deal with Netanyahu at all — people near the President say that, for one thing, Obama doesn’t think that Netanyahu is very bright, and there is no chemistry at all between the two men — but he’d rather have a Netanyahu who is being pressured from his left than a Netanyahu who is being pressured from the right. Now compare this to Obama’s approach to last year’s violence against Iranian protesters. “It is not productive, given the history of US and Iranian relations to be seen as meddling in Iranian elections,” he said. But when it comes to Israel, it’s meddle away! By the way, Obama is dead wrong if he thinks Netanyahu is not bright. 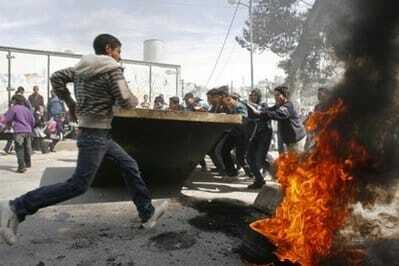 6:05AM: Hamas has threatened a religious war. Ismail Haniyeh, prime minister of the Gaza-based government, threatened Tuesday that a religious war will enflame Israel, calling for an Arab-Palestinian campaign to stand with Jerusalem. Meanwhile, if you are surprised by any of this, read the Hamas Charter. It’s all there. 5:56AM: Any fears of a similar crisis in Israel-Australia relations following passportgate (doesn’t that seem like a lifetime ago given all the current focus on the new crisis?) can be put to rest. Or at least be put to the side for now. FEARS of a diplomatic fallout over the forged passport affair don’t seem to have hampered trade between Israel and Australia. Israeli company Elbit Systems, which supplies the Israel Defence Forces, was this week granted the $349 million contract to supply command, control and communications systems to the Australian Army. Australian Minister for Defence Personnel Greg Combet said the deal is a big step forward for the Australian Defence Forces (ADF). “The introduction of this new capability will increase the ADF’s battle space awareness, automate combat messaging and assist in the successful conduct of operations,” Combet said. Not only is the relationship a trade one, but some of the contract will be completed in Australia. “Systems integration testing will be performed in Melbourne, while vehicle integration into over 1000 army vehicles will occur in Brisbane,” Combet said. The new system will provide new technology in battle to more than 1500 Australian soldiers and it will also be rolled out in the Royal Australian Air Force. Elbit CEO Joseph Ackerman said the order would be completed over the next three years. “Australia is a very important market for Elbit Systems, and we are extremely proud to be selected by the Department of Defence for this major program,” Ackerman said. 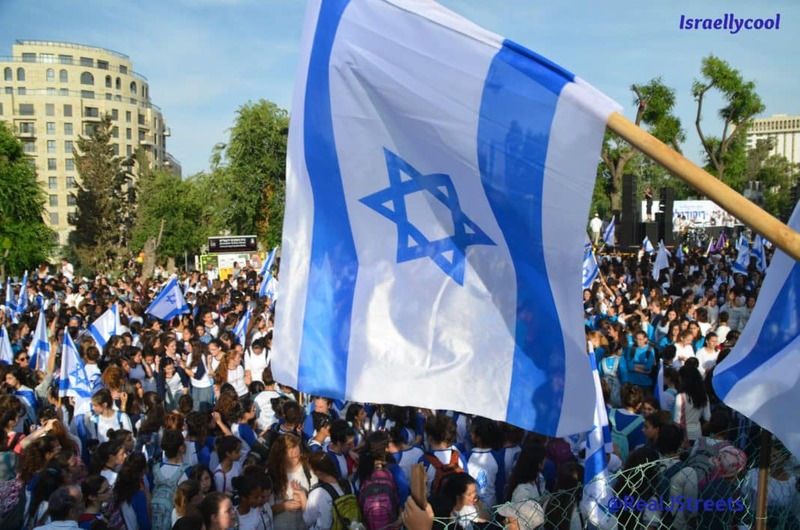 5:50AM: Yossi Klein Halevi looks at the crisis. Or as President Obama prefers to call it, a “disagreement” between friends. Why, then, the outbreak of violence now? Why Hamas’s “day of rage” over Jerusalem and the Palestinian Authority’s call to gather on the Temple Mount to “save” the Dome of the Rock from non-existent plans to build the Third Temple? Why the sudden outrage over rebuilding a synagogue, destroyed by the Jordanians in 1948, in the Old City’s Jewish Quarter, when dozens of synagogues and yeshivas have been built in the quarter without incident? The answer lies not in Jerusalem but in Washington. By placing the issue of building in Jewish neighborhoods in East Jerusalem at the center of the peace process, President Obama has inadvertently challenged the Palestinians to do no less. Astonishingly, Obama is repeating the key tactical mistake of his failed efforts to restart Middle East peace talks over the last year. Though Obama’s insistence on a settlement freeze to help restart negotiations was legitimate, he went a step too far by including building in East Jerusalem. Every Israeli government over the last four decades has built in the Jewish neighborhoods of East Jerusalem; no government, let alone one headed by the Likud, could possibly agree to a freeze there. Obama made resumption of negotiations hostage to a demand that could not be met. The result was that Palestinian leaders were forced to adjust their demands accordingly. Obama is directly responsible for one of the most absurd turns in the history of Middle East negotiations. Though Palestinian leaders negotiated with Israeli governments that built extensively in the West Bank, they now refused to sit down with the first Israeli government to actually agree to a suspension of building. Obama’s demand for a building freeze in Jerusalem led to a freeze in negotiations. Finally, after intensive efforts, the administration produced the pathetic achievement of “proximity talks”—setting Palestinian-Israeli negotiations back a generation, to the time when Palestinian leaders refused to sit at the same table with Israelis. Want to learn how to shoot with top Israeli anti-terror experts? Click here for more details.